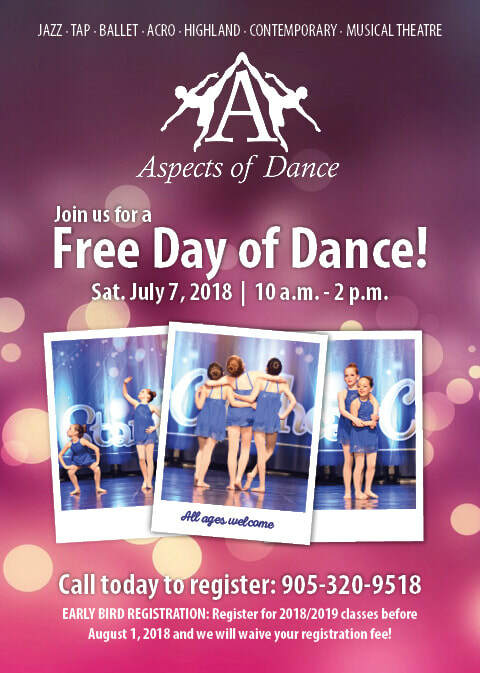 Welcome to aspects of dance! At Aspects of Dance we pride ourselves on providing the best training with talented, caring, qualified instructors to encourage, inspire and challenge all of our students. Our year end recital is held at the Burlington Performing Arts Centre, where we are committed to having all of our students experience the wonder and excitement of live theatre in a professional environment. ​Our goal is to make your child be the best they can be. We believe that dance builds confidence, self esteem and discipline. Let us nurture your child through dance in our fun and loving environment. Aspects Dancers WOW crowds at Pan/Parapan Am ceremonies! Click here for news article!